Arch Coal, which operates the West Elk Mine in Gunnison County, filed for bankruptcy on Monday, January 11. The move eliminates $4.5 billion in debt and allows the company to keep operating, including the West Elk Mine. According to an article in the Denver Post, Arch Coal has been losing money since 2012 and attributing those losses to a “hobbling” of the coal industry by economic challenges and regulations. The West Elk Mine is one of its better performing mines and was the highest producing coal mine in Colorado through November 2015. The bankruptcy filing is not expected to impact operations of the West Elk Mine, but county manager Matthew Birnie says the county will monitor the situation. The county benefits from the mine financially through severance tax revenues, distribution of Federal Mining Lease Act funds, and property taxes. “This appears to be primarily about restructuring debt across this very large enterprise and shouldn’t affect operations at the West Elk Mine in the near term. My understanding is that the West Elk Mine is one of Arch’s mines that is performing well,” he said. High Country Conservation Advocates (HCCA) sees the bankruptcy as one more reason the company should not be allowed to conduct mining exploration in the North Fork Colorado Roadless Area. The US Forest Service recently accepted public comment on a draft Environmental Impact Statement regarding a proposal to reinstate an exception to the Colorado Roadless Rule allowing that exploration. 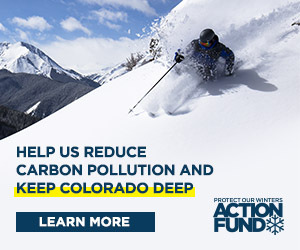 “The federal government should not further subsidize Arch Coal, which has already benefited from severely outdated and low royalty rates and yet still goes bankrupt, by paving the way for bulldozing over 60 miles of new roads and scraping hundreds of well pads in pristine forest and wildlife habitat,” said HCCA’s public lands director Alli Melton. “And those costs are the tip of the iceberg, given the Forest Service’s own estimate is that this exemption would cost over $12 billion globally in environmental and economic costs,” Melton continued. Arch Coal will continue to operate throughout the bankruptcy process using a $275 million loan.